Mix all the ingredients apart from the curd and sugar with the fish pieces in a metallic tight tiffin box. Add little water and close the lid.Boil water in a boiler, place the tiffin box in the boiler and cover the boiler.Cook it for 15 mins. Now open the lid of the tiffin box and add the beaten curd and sugar and mix it properly with the fish. 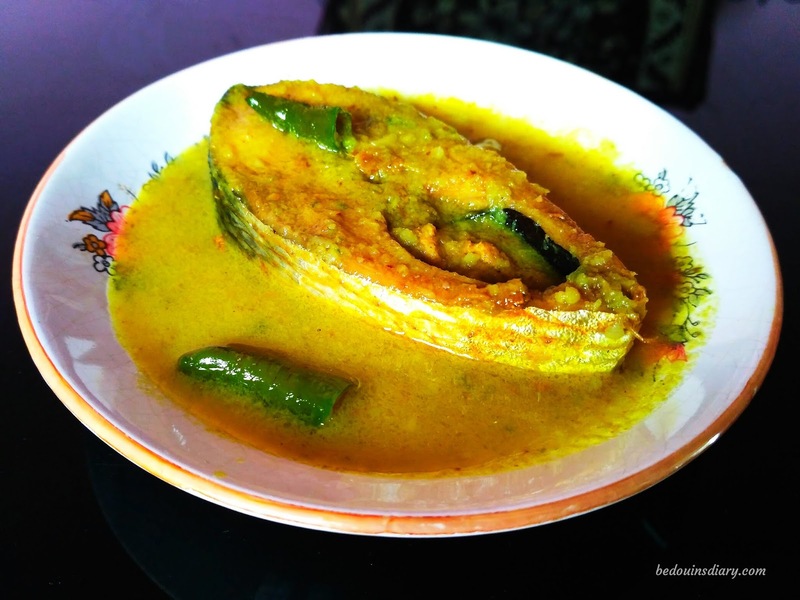 Doi Ilish is ready to be served with steamed rice.